Kingfisher Apartment is part of the old Victoria Magistrates Court and Police station. It is ground floor accomodation with private entrance and court yard style garden. Open plan living area with kitchen, dining and sitting area. Wood burning stove ( starter pack included. En-suite shower room with electric shower. Selection of Books and DVD. Quiet riverside location, close to the village. Railway station 5 minutes walk. Pubs, cafes, shop and restaurants, shop - 5 mins walk. Kitchen supplied with tea, coffee, milk ( soya and almond milk available ) local butter and bread, olive oil and herbs. Please note: there are a couple of steps up to the front door and down to the utility cupboard where the washer dryer is kept. 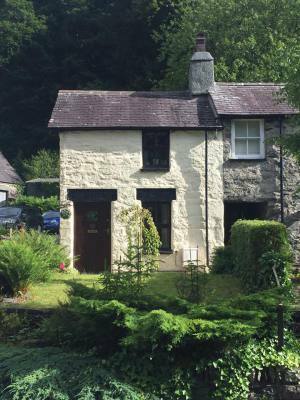 Squirrel Cottage is believed to date back to the early 1700s, beautifully refurbished it has a pleasant outlook and a wonderful wooded backdrop. Positioned just on the edge of the village and well within walking distance of pubs, restaurants and cafes. Sitting room , exposed celing beams, stone work and an inglenook fireplace with a wood buring stove. Hand built kitchen with hand carved sycamore sourced from a social enterprise in Manchester, Welsh slated wall. Gas oven and hob, microwave, fridge and freezer, washing machine. TV with Roku streaming services. TV channels, catch up TV and Netflix included. First floor bedroom with double sleigh bed. Bed linen, towels and hairdryer provided. En-suite bathroom with roll top bath and shower. Woodland style garden with patio area - the garden is a haven for wildlife. Seperate Yoga/Mediation/relaxation room ( Rotunda ) at the top of the garden. Holistic massages can be arranged. Railway 10 mins walk, Golf club 15 mins walk, pubs, cafes 2-3 minutes walk.